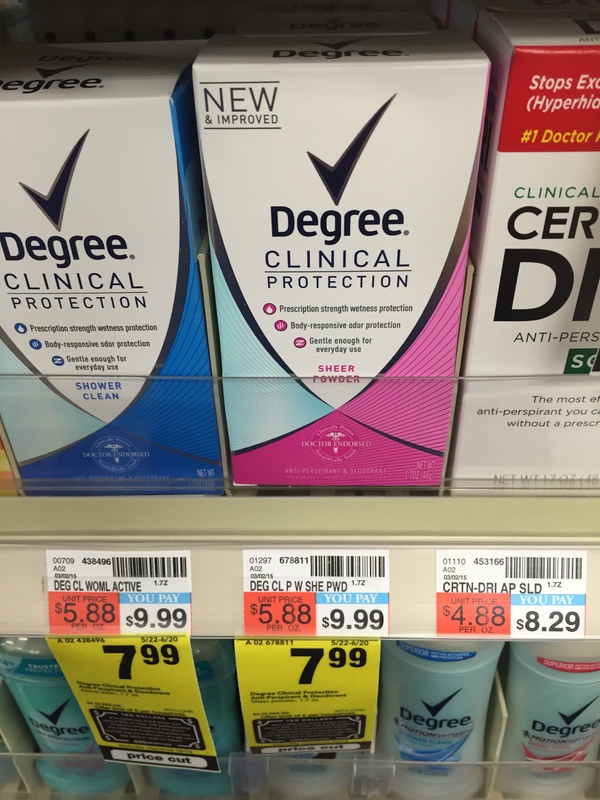 When I was waiting in line at CVS tonight, the woman behind me asked “is all that stuff [in your cart] on sale?”. She must have gazed through the flyer. I said yes, then added “I have coupons too and I’m getting the $10 gift card deal”. Her response? “I’ve seen people do that on TV; you’re going to be a millionaire one day”. Well, lets hope she’s right. She was only buying one greeting card so I let her know I was making two transactions and offered to let her cut me in line. She refused – she had to see it to believe it. So, I’m going to stray away from the fashion theme today and talk about one of my favorite non-clothing stores: CVS. All you need to do is get an ExtraCare card (it’s free) and you’re on your way to saving. A lot. 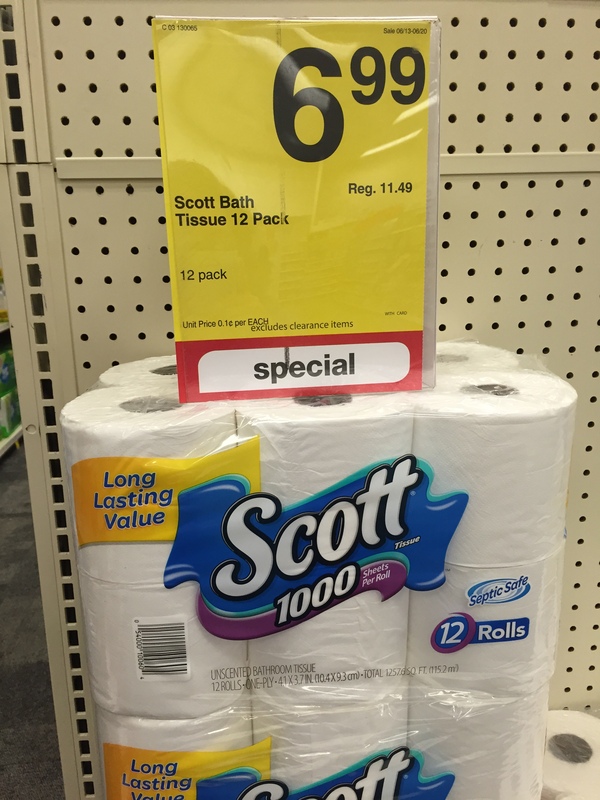 Knowing I should spend at least $30 pre-tax (advertised promotion this week: get a $10 gift card when you spend $30 on select products), this was the shopping list I created: Scott toilet paper 12 pack, normally $11.49 on sale for $6.99 (I’m getting two packs because I’d never want to run out and this is the only brand I like); Hefty Garbage bags 45 count, normally $10.49 on sale for $6.99; Degree Clinical normally $9.99 on sale for $7.99 and two bottles of Ajax dish soap normally $1.67 on sale for 88Cents. 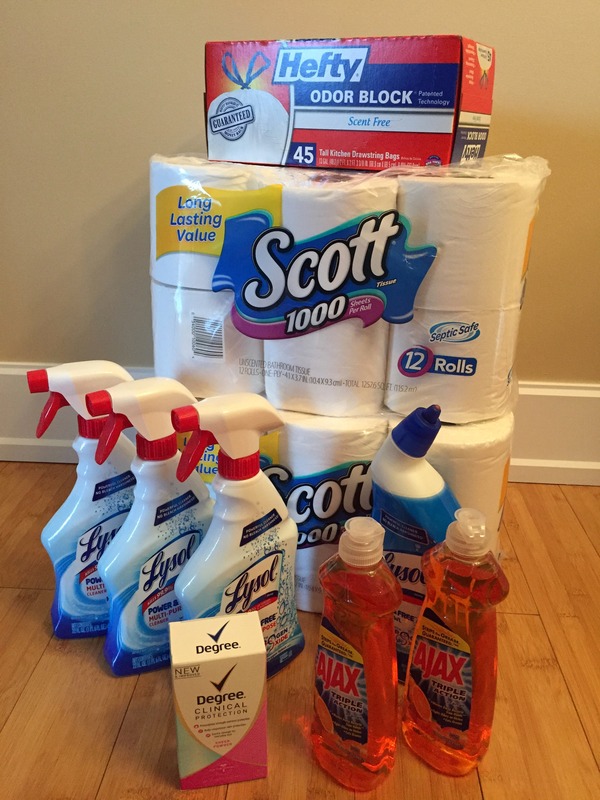 All of these sale prices totaled $30.72 (pre-tax, pre-coupons). 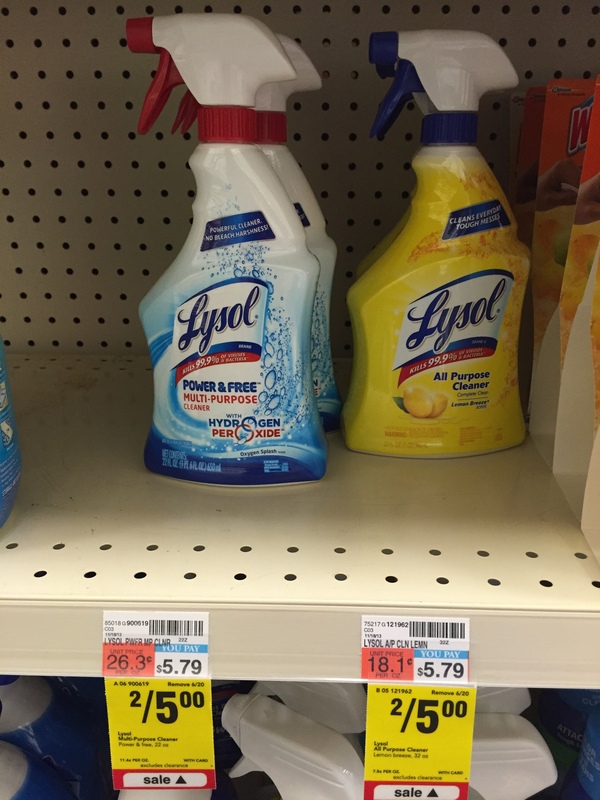 I also have 4 bottles of Lysol bathroom cleaner on my shopping list – they’re normally $5.79 or $3.49 depending on the type, but they’re on sale for $2.50 each. I didn’t add these to my first total because I’m purchasing them during transaction #2. You’ll see why. 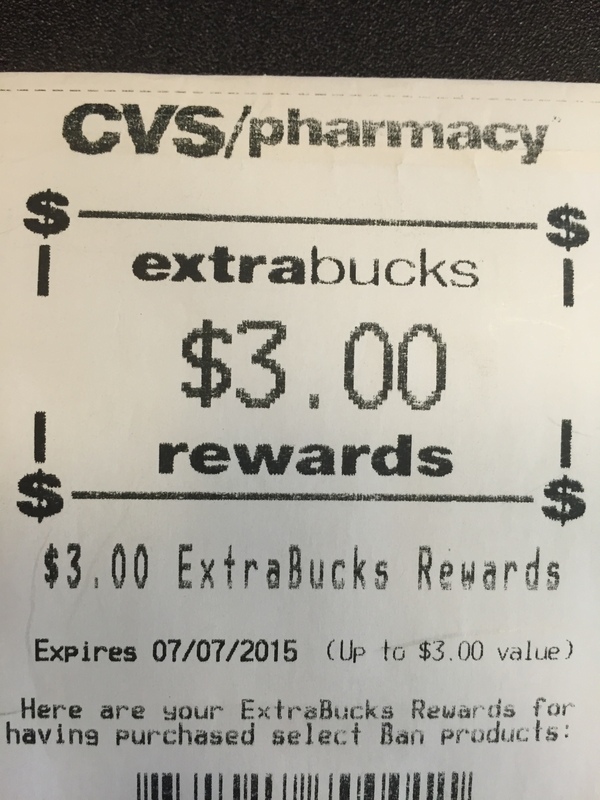 ExtraCare coupons? 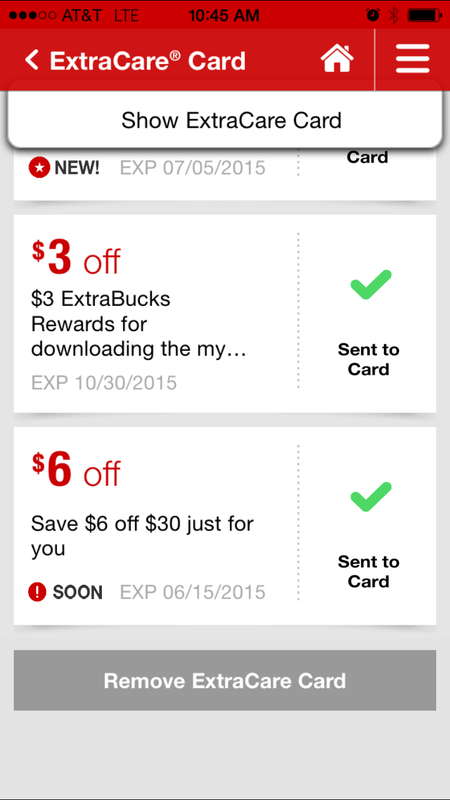 $6 off a $30 purchase, and $3 ExtraBucks for linking my ExtraCare card to the CVS app on my phone. When the coupons were scanned, my total became $23.10 with tax. Swiped my credit card, the cashier handed me my receipt and the $10 gift card I earned, almost done! 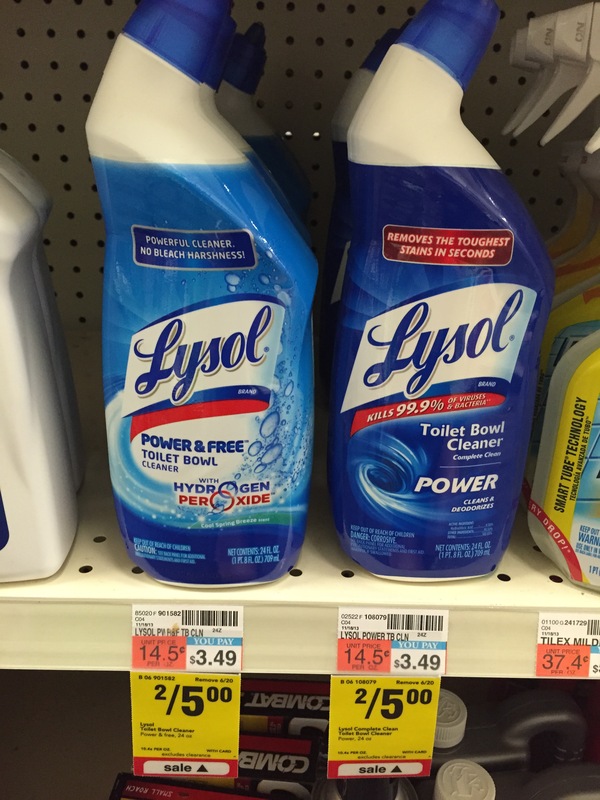 Time to make a second transaction – for those Lysol cleaners I left in my cart. 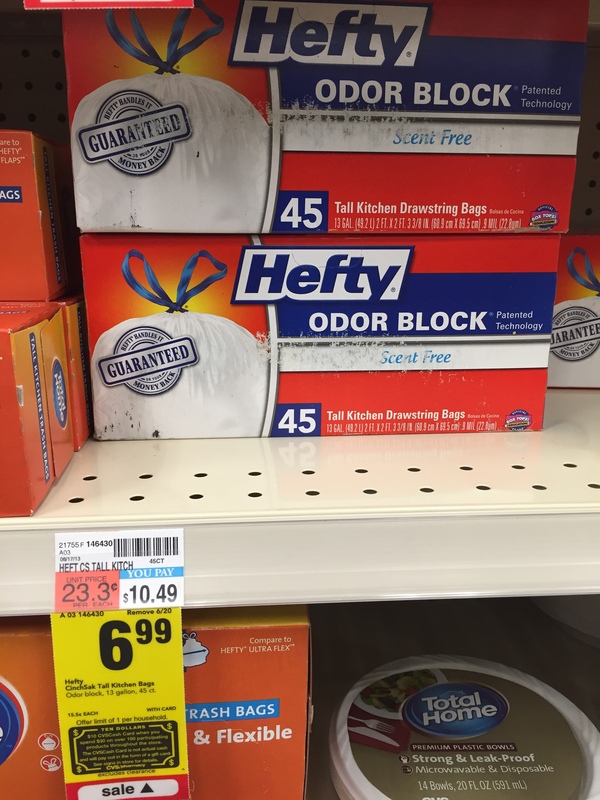 At $2.50 each they come to $10 plus tax… used my $10 gift card from my first transaction and paid… $0.63. (that’s the tax on $10)! Unfortunately, I had to pay the tax since I used a gift card. Had it been a $10 coupon instead of a gift card, the total would have been $0.00. 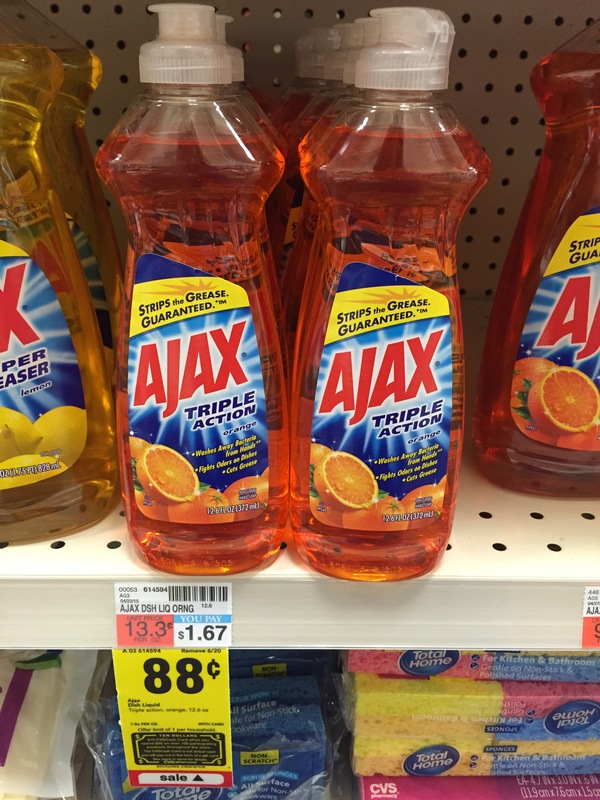 So, lets go back to why I bought two bottles of Ajax dish soap for 88Cents each. I don’t really love Ajax for myself (I go for Palmolive free & clear….) but I can bring it to our community kitchen at work. Those two bottles of Ajax brought my total JUST above $30. Had I not spent the $1.76, my total would have been $6 more, and I would not have received the $10 gift card. Spending $1.76 saved me $16 – that’s worth it to me. Catching on yet? Oh, I almost forgot! 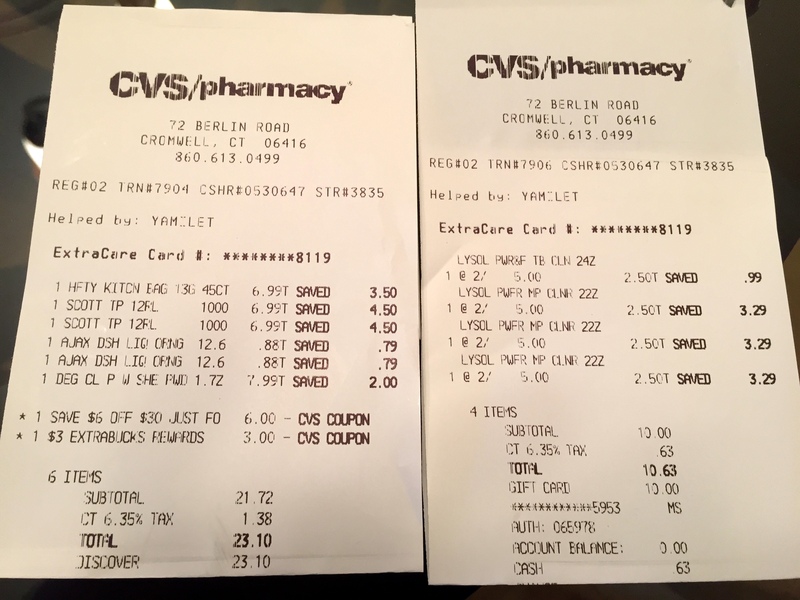 When I swiped my credit card, I used my Discover – which currently gives me 10% cash-back on CVS purchases. I can put that cash-back directly towards my statement, or redeem it for gift-cards! Here’s a photo of everything that would cost $71.95 (total with tax) if you bought separately at full price without an ExtraCare card. So, if you don’t have a CVS card, go to the store and get one ASAP. It honestly can’t get any easier. I do love the CVS Extracare card. So many great bargains!